There is good news for the lovers of the big motor, especially for lovers of Honda motor output. Because PT Astra Honda Motor is rumored to be a big product launch of their bike in the middle of this year. The motor series that will be released quite varied, as Vultus 750, CB650, CBR1000 Fireblade, CB500F, CBR500R and CB500X series. As for Honda CBR1000 Fireblade series and 750 Vultus his own had been on display in Senayan, Jakarta, some time ago. Although the time in the pity, because in the exhibition was not in get information about the prices of both these series. But for CB500 series there are sources that say the price per unit is estimated at between Rp 130 to Rp 155 million. This series includes the CB500F, CBR500R, and also CB500X. And to be able to have a model of this bike, you can already order to prepare the money amounting to Rp 10 million as earnest money. In each Largest Honda dealers in your city. If in view of the machine is in use, the model CB500 has been equipped with a powerful 500 cc engine (two-cylinder) with in favor by the piston 67 mm and stroke of 66.8 mm. 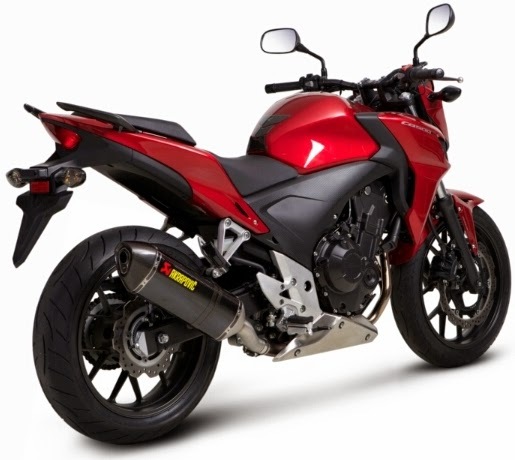 CB500 series will be present in the model CBR500R), naked bike (CB500F) and adventure or touring (CB500X).